The next time you are heading to Target or stopping by the Post Office, take a 2 minute drive up Village Parkway to see your Measure ‘C’ School Bond money in action. Measure ‘C’ was approved overwhelmingly by Dublin voters in the 2004 election. While many Dublin public school projects have been funded by Measure ‘C’ funds, the top priority and bulk of the money is being invested in a complete renewal of Dublin High School. The new Math and Science building is open and the current phase (schedule to complete later this year) will complete the renewal of all academic facilities. A new Sports Center and a 500-seat Performing Arts Center are also planned to complete the project. 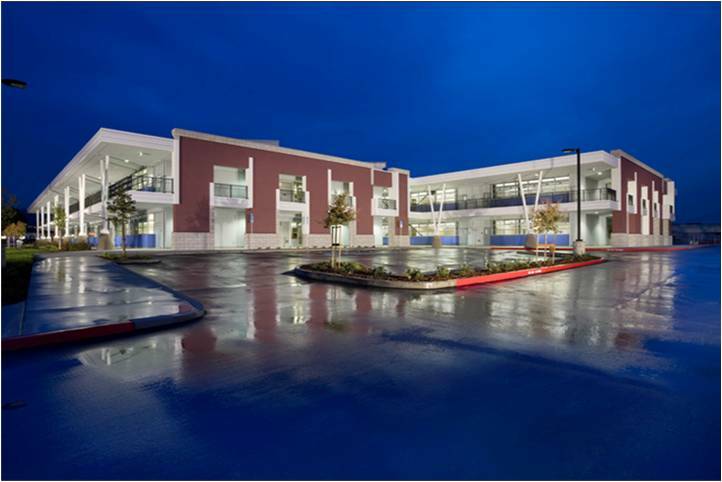 The Dublin High renewal has already been recognized for its innovative use of green technology, profiled in Green Technology Magazine and winner of the Green Building Award from Green Street Scene. 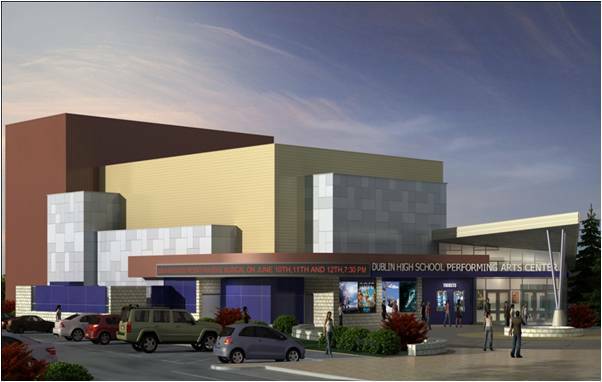 The renewal provides Dublin High has a capacity for 2,500 students (there are approx. 1,500 students currently enrolled at Dublin High). Dublin High was recently notified that it would be included in Newsweek’s 2010 list of America’s Top Public High Schools. For a quick virtual tour we’ll start with academics – Dublin High offers academic choice with 21 Advanced Placement (AP), Advanced and Honors courses as well as three diploma options (including the recently announced Advanced Scholar Diploma). The new Math and Science Building (shown above) and the new Humanities Building and Library (shown below). 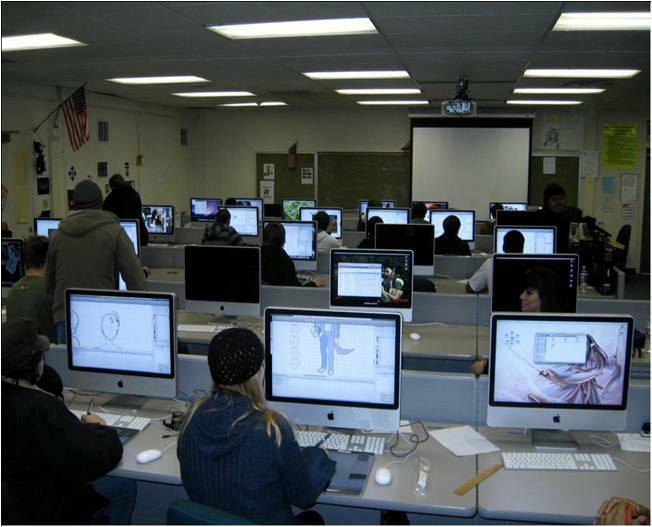 The Dublin High renewal project provided an opportunity to deliver a state of the art learning environments for our students in addition to the green friendly design noted above. 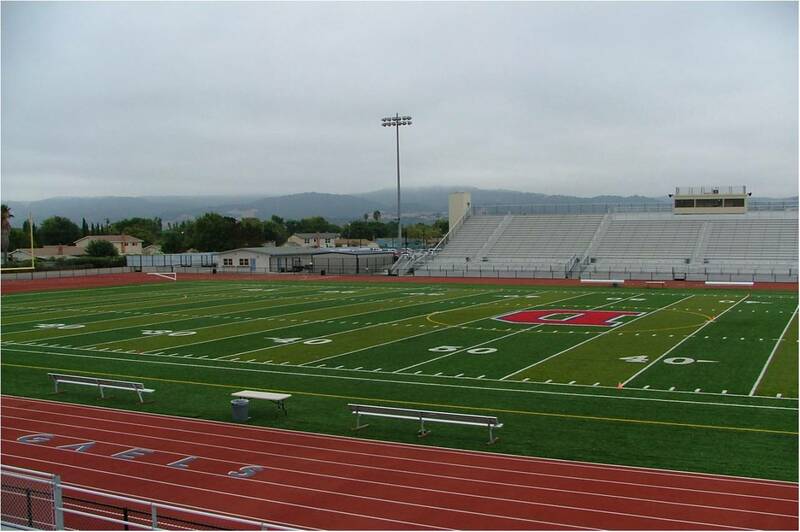 For students interested in athletics, the project includes a new Dublin High Stadium (already complete) and a new Dublin High Sports Center (in progress). Dublin High offers athletic choice with 22 teams covering a wide range of sports. More information on how Bond Measure ‘C’ funds are being used is available here along with a summary presentation available here. A profile of the Dublin High renewal project in Green Technology Magazine is available here.